I’m beyond blessed to have this novella included in the “Love, Sweet Love” anthology. So glad the trail led you here. 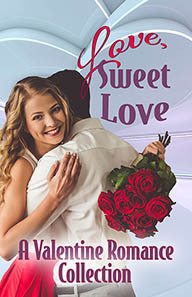 I’m pleased as punch to announce the recent release of Heart of Hope, in the already-bestselling Valentine anthology Love, Sweet Love. Five novellas, five authors in sweetheart stories filled with romance, family, food, and faith. And of course, happy endings. How Heart of Hope came about: Well, in June 2017, family stuff got me thinking that I needed some time away from writing and blogging. Some good including a baby granddaughter who’s now a vivacious toddler. Some not so good–my mother in law is still ailing. So I decided 12 months was a good break. Funny how the Lord works. June 2018 rolls around. Exactly one year later. Four amazing authors invite me to participate in this Valentine anthology. Wow. I need to thank Mary Manners, Delia Latham, Dora Hiers, and Zoe McCarthy for all the support and handholding. Here’s a snippet about all our stories. Oh, and did I mention we reached best-selling Amazon status? That is a true first for li’l ole me. Thank you, God. 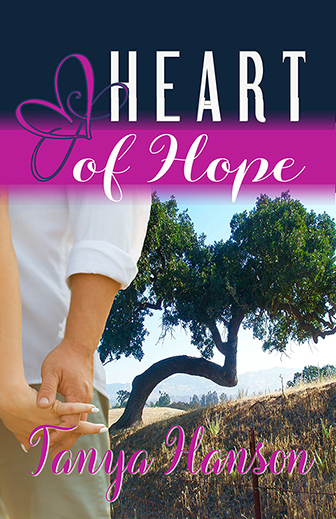 HEART OF HOPE: He gave Bree her first kiss, but can he give her a future? She’s back in Rancho Lorena but not to stay—until Akron steals her heart. For good this time. But his ranch is in financial trouble, and she’s a rich developer. A recipe for disaster. Until they find the missing ingredients of love, happiness, and hope when they help out together at a home for young women in need. A former celebrity dancer with a child she adores. A successful but burnt-out therapist to Hollywood’s rich and famous. When they show up in Hummingbird Hollow at the same time, sparks fly… but can they fan the flames? Erin Mulvaney is comfortable in front of both crowds and cameras. It’s the tango of one-on-one relationships, especially when it comes to men, that ties up her tongue. When handsome Kyle arrives to renovate her family’s restaurant, can she conquer her fears to cover the project along side him? Veterinarian Murphy Denton doesn’t trust people. Heiress Micaela Stanford would donate her fortune to care for abandoned animals. Her generous spirit crushes his defenses. Will his dysfunctional past prevent them from a happily-ever-after? Life has dealt a mammography tech and an entrepreneur bad breaks and led them to a small North Carolina ski town. A new bad break introduces them. Can they share more than a love of skiing? Or is she intent only on fixing his flaws? Best you cuddle up now with some sweets–I suggest chocolate–and a good cup of coffee. Or just maybe a glass of a big bold red–Heart of Hope is set in wine country, after all.